Sacked Nissan boss Carlos Ghosn has promised to "tell the truth" at a news conference next week. He took to Twitter to announce his first briefing since being released on bail and hours after a report that prosecutors were preparing a fresh case against him. Ghosn was widely lauded for rescuing Nissan from the brink of bankruptcy two decades ago. But he has experienced a dramatic fall from grace that shook the global auto industry and raised questions about the future of Nissan's alliance with France's Renault. He was arrested in Tokyo in November and faces charges of financial misconduct and aggravated breach of trust over allegedly failing to report around $82m in salary and temporarily transferring personal financial losses onto Nissan's books during the financial crisis. 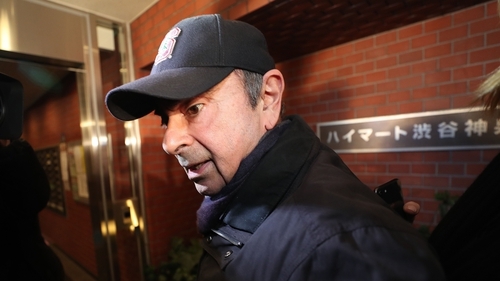 Released on $9m bail last month, Ghosn has denied the charges, calling them "meritless" and saying he was the victim of a boardroom coup. Under the terms of Ghosn's bail he is not allowed to use the internet, although the tweet may have been made on his behalf, as is common with celebrities and other high-profile figures. Ghosn's spokesman has previously said payments of $32m made over nine years were rewards for the Oman firm being a top Nissan dealer.